SILVER SPRING, Md. 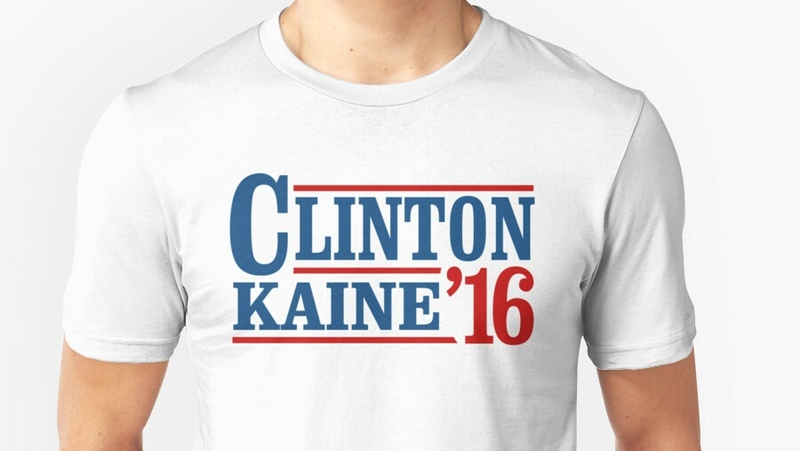 --- Adventist Dorcas centers across the country are bursting at the seams with donated Clinton/Kaine attire which has been pouring in for weeks ever since election night. The Adventist Community Services headquarters is requesting Adventists to stop bringing election-related clothing to the free clothing centers due to the massive surplus. "Ordinarily we would be happy with this outpouring of generosity, but the Clinton/Kaine gear deluge has literally become the gift that keeps on giving," said ACS spokesperson Mo Barns. "And not in a good way. We literally don't have space for all this." Barns warned that due to the political one-sidedness of the donations, the Adventist Church could be accused of political partisanship if its free clothing centers looked like they had been commandeered by the Democratic Party. He added that those still wishing to donate Clinton clothing should consider overseas clothing relief causes. There are people who collect election items. After a few years, the item(s) are quite valuable. Try donating some to the Smithsonian. Maybe the local car wash can use a bunch of t-shirts for drying off. GET EM WHILE THEY’RE HOT, THEY MAKE GOOD SHOOTING TARGETS.